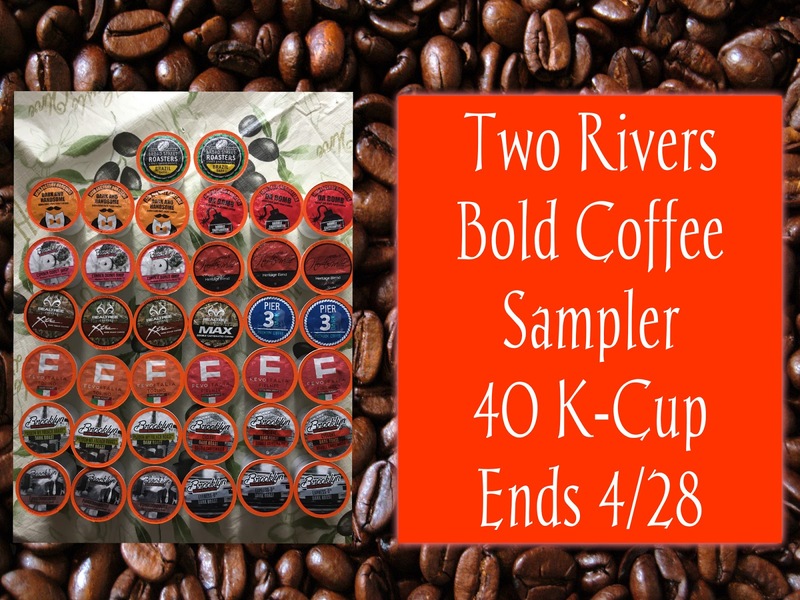 Lovers of Bold Coffee will definitely enjoy this 40 K-Cup Sampler from Twin Rivers Coffee containing various flavors from Real Tree, Italy, Java Factory, Brooklyn Bean Roasters, and more. 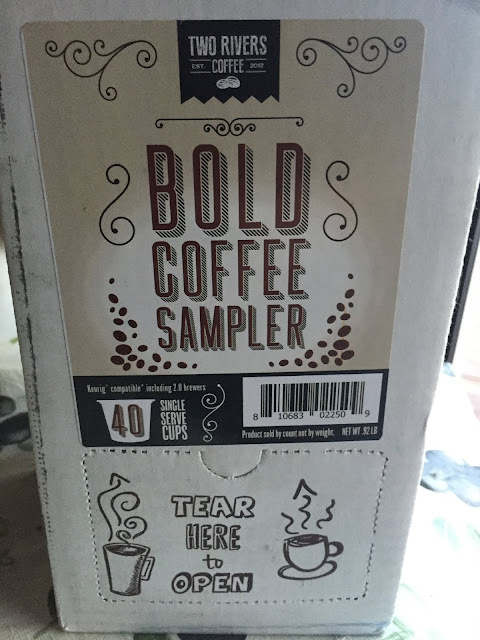 We received the box on Monday night and have already used up 5 coffees. Dark and Handsome, Max and Broad Street Roasters were the first to go. I love variety and the bold flavors are full bodied and just what I need at 4:45 in the morning when I am getting my family ready before walking out the door to teach 10 2 -3 year olds in my preschool class. What I truly love is the variety. I am not like my husband who has a few favorites on everything in life. He is a basic guy! 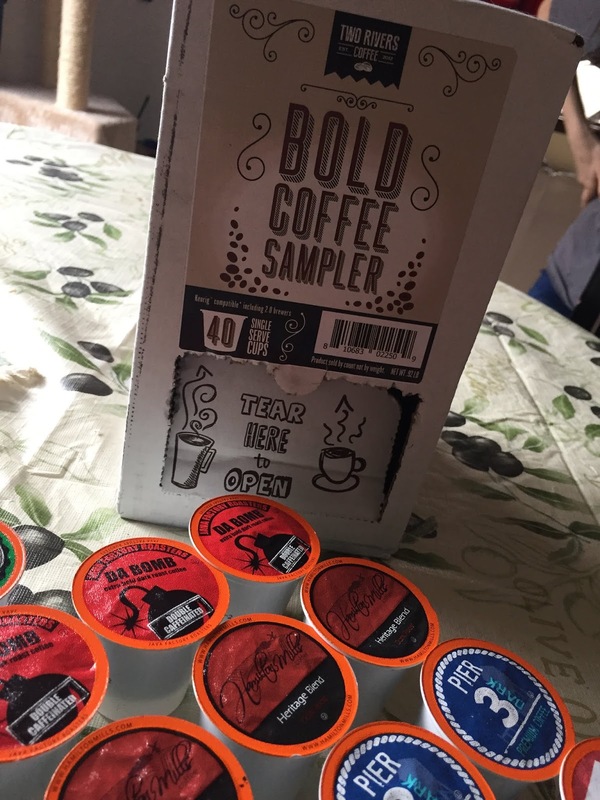 Like my kids he is not always up for trying new things but if you are like me and enjoy trying new things sampler packs are for you. It was through sampler packs that I found at least 4 of my favorite coffees. 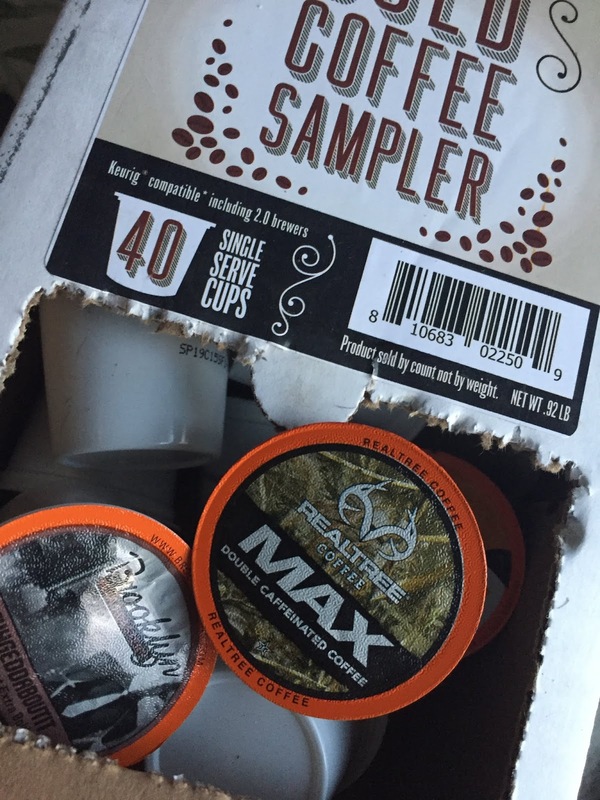 Without a sampler pack I wouldn't have known that Real Tree Max was one of the best in my opinion or that I don't necessarily like Hazelnut coffees. When making my coffee in the Keurig I use filtered water only! It truly does matter what water you use and to get the true best from your K-Cup coffee, use only the 8 oz setting. Yes, I know there is a 10 and 12 but for the best, full bodied best flavored coffee, go with 8 oz. AND...I use the strong brew feature. It is amazing the difference you will notice. My job does not have a strong brew button and I feel like my coffee isn't as flavorful. I never ever make coffee at work anymore. When I look at the Amazon product reviews I noticed some were saying that these K-Cups didn't work in their 2.0. I have never had a problem using Twin Rivers Coffee products in my Keurig 2.0 in the many sampler products I have received, purchased for myself or the 5 from the box that I used so far. Disclaimer: I received a complimentary box for my honest opinion. No monetary compensation was offered. I am most excited about the Max one. Their are some mornings that extra caffeine is definitely necessary. I’m most excited to try the Hazelnut coffee. I am most excited to try Twin Rivers Da Bomb Coffee! Thanks for the chance! I would like the Max double caffeinated. Who couldn't use a double dose of caffeine once in a while? I would like to try the Hazelnut coffee flavor. I saw a Siamese cat. I'd like to try the Cyclone Dark Roast. I think the cat is a Siamese cat. A Siamese cat so pretty we had like it before. I would love to try the Fuhgeddaboutit Dark Roast Coffee. A beautiful Siamese cat in your daughter’s arms appears in your video. I want to try some of the Broad Street Roasters, they do sound good. RealTree Max sounds perfect for me! I'm looking forward to trying the Pier 3! I love that Siamese kitty!